I’ve finally started running enough to actually put some miles on shoes to test them out. 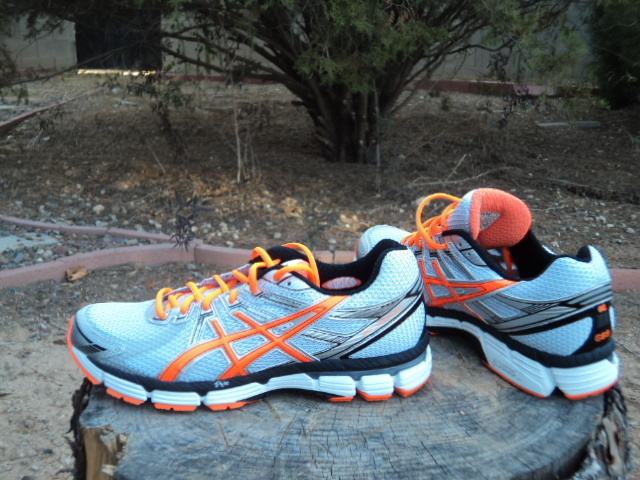 Recently the ABQ Running Shop was kind enough to send me some shoes to run in. I’ve got a few pair to review. Today’s review will be the GT-2000. 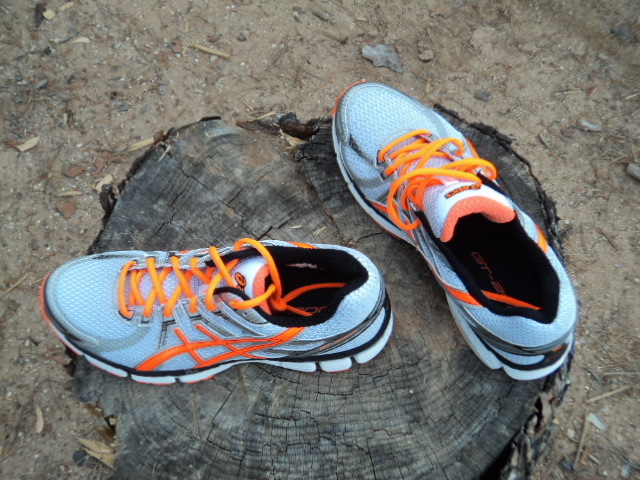 The GT-2000 replaces Asics’s long running string of shoes that started with the 2001 about 2 decades ago. Asics had gotten up to the 2170’s. While not every shoe in that string was a success, the overwhelming majority of those shoes sold well and were the go to shoes for millions of runners. You could go to any race or group run and easily find numerous people wearing a shoe in that succession of shoes. The GT-2000 has impressive pedigree to live up to. Live up it does. In fact, this shoe surpasses the previous generations of Asics shoes. The first thing you notice is the GT-2000’s are lighter than their predecessors. The claimed weight is 11.4oz but they feel lighter when running in them. The ride is a lower to the ground and the shoe feels more flexible. With the previous editions these shoes always needed three or four runs to feel good and progressively felt better over the first 100 miles before settling into that happy spot. The GT-2000’s felt nimble, sure footed and comfortable in the first mile. If you have higher volume feet, Asics recently has been short changing you on lace length. That’s no longer the case, these shoes tie with enough lace to easily double knot. There is enough room for my wider and higher then normal feet in the front of the shoe. No pinching or constriction. The heel is snug around my narrower then normal heels. I’ve got these laced through the second set of eyelets at the top of the shoe to help snug it against my heel. There are some carryover features that the previous line of Asics’s were known for. The Guidance Trusstic System, the Impact Guidance System, the Dynamic Doumax Support System and gel pads both heel and forefoot are all carry overs and found in this shoe. The outsole continues using AHAR, their version of high abrasion blown rubber with the DuraSponge blown rubber in the forefoot. They use Solyte in their dual density midsole. The one thing that didn’t carry over was the ride. The ride of the GT-2000’s is even better then the shoes that came before it. The ride of the 2150’s and 2160’s is stiffer and less nimble. The GT-2000’s run much better. They are more comfortable out of the box, no break in period needed. 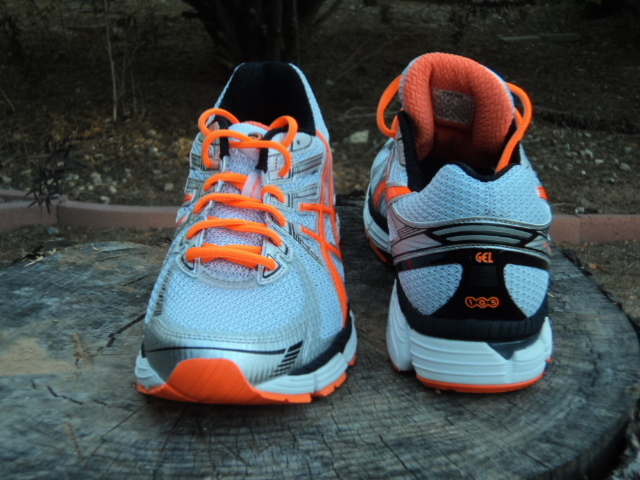 You notice you are lower, more stable and these shoes are more supple in the way they run. I’ve run in many, many brands of running shoes and none of them ride quite like Asics. None of the recent Asics in the GT-2000’s genetic tree ran this well. It’s a noticeable improvement from the previous models which were already superior to most if not all of the shoes in their category in ride. The number one thing that holds other shoe companies back from being as good as Asics is the ride of their shoes. There is no sweeter ride, no shoe brand that feels better or is as consistent as you go through their line or go from year to year as Asics. Once other companies figure this out, they may go from being a silver or bronze medalist shoe to a gold medalist shoe. But for now, Asics still stands atop the podium. The GT-2000 may have tightened their grasp on gold. The outsole’s seem to be holding up well on the groomed trials I run on. They are covered with a mix of sand and pebbles, outsoles that are soft tend to wear rather quick. These are holding up great, maybe even better than the Asics 2160’s. I’ve not taken them on the really rough trails yet. Everything I’ve seen and felt while running in these shoes gives me the confidence that they will do well on trails that surround Tucson. My one complaint is with the laces near the very top of the shoe. The first few times I noticed they fell in a different spot on the lateral aspects of my foot. I’ve got them laced up a bit differently then the promo shot on the Asics shoe page. I’ve got the laces going through the lace holder sewn onto the tongue one eyelet closer to the top. Going around corners I found them to dig into the lateral aspects where the laces come out of the shoes from the last eyelet. The only reason I noticed this is it’s something that has never happened before in any shoe that I can remember. After playing around with the lacing some and with over 100 miles on these shoes, I’ve not noticed this any more. Maybe I’m used to it, maybe I’ve got the laces in their sweet spot. This shoe is so good though that it would take more then this, much more, for me to not end up with a second and third pair. If you enjoyed running in the previous editions such as the 2140’s, 2150’s and 2160’s you will be ecstatic when running in the GT-2000’s. This shoe is a far superior shoe to the shoes it replaces. Asics took a step forward with this shoe and maybe put more distance on the rest of the brands that live in the structured cushioning category. PreviousPrevious post:IM MelbourneNextNext post:More Races & More Wins! Plus they come in a color that will make it even easier for you to mismatch your outfits.